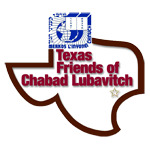 Chanukah across Houston - Hanukkah Menorah - Chabad Lubavitch Center - Texas Regional Hdqrtrs. Free event! Free Raffle! Come do your Chanukah shopping with many local vendors, while your children enjoy the free activities and snacks!! The acclaimed Living Legacy Olive Press workshop will make two demonstrations. Children will pit olives to get them ready to press into oil for the Menorah. Join in this fun, hands-on activity! Join YJP Houston - Houston Young Jewish Professionals in their 20s and 30s for an elegant evening delicacies, music, drinks, and stunning views of the city from the private rooftop lounge at the new SkyHouse at River Oaks. 20th Anniversary Menorah Lighting at Houston City Hall Chanukah Fest attendees will be treated to a live outdoor concert by 8th Day Band plus even more entertainment by Judah the Maccabee Live Statues, Dreidel Mascot, LED Juggler, balloon artists, face painters, a dance crew & much more. A large array of activities and booths, arts and crafts, Houston Rockets Fan Zone, raffle, and a dazzling food quarter. Admission is FREE. At 5:30pm, a ceremony to light the Houston City Hall Menora for the 20th time begins and concludes with a Spectacular Fireworks Show!. Grand Chanukah at the Circus and Public Menorah Lighting in Bellaire Town Square Park with the Mayor of Bellaire Fun for the whole family. Menorah Lighting & Chanukah celebration with holiday goodies and giveaways! Produced by HEB in partnership with Chabad at Rice and Chabad of Uptown. Join the Bay Area Jewish community for the exciting annual Hanukkah celebration at the Baybrook Mall! This year's event is called "Chanukah in Outer Space" and will feature the lighting of a special Space Menorah, entertainment, delicious doughnuts, latkes and chocolate 'gelt'! Free raffle & prizes! Giant Menorah Lighting with Sugar Land Dignitaries Doughnuts, Music, Prizes for Children. Fire Juggler. A fun event for the whole family. Join us as we light exquisite handcrafted masterpiece Menorah by artist I. Cohen. Enjoy a joyous celebration of the festival of lights at Saengerferst Park on the historic Galveston Strand. The outdoor event will feature music, the lighting of a uniquely designed Menorah, traditional Hanukka refreshments, prizes and more. Join us for a grand Chanukah party as we kindle the 3rd candle for the first time on Market Street The Woodlands! Kindling of giant Menorah. Cocktail Dinner with Entertainment and Award Ceremony. RSVP Required. Kindling of Pearland's largest Menorah, Doughnuts, Chocolate Gelt and Dreidels. Fun surprises and lively Chanukah music! Prizes!